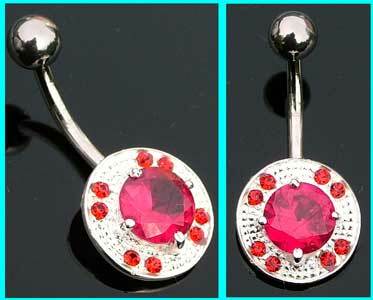 This silver belly bar features disc design which has a central rose stone which is surrounded by eight smaller jewels, and has a 10mm (3/8") surgical steel shaft. Powered by ShopFactory to sell P11604 online. All-in one eCommerce and online shopping cart software.